Community Service Committee | Signs Up! The mission of the community service committee is “to promote the inclusion of unit community service activities within the Scouting program so as to instill in our youth a lifelong dedication to service as embodied in our Scouting principles.” Service is woven into the very fabric of the Scouting program. In the Scout Oath we promise to “help other people at all times.” The Scout Law declares that a Scout is helpful, while the slogan urges Scouts to “do a good turn daily.” The Patriots’ Path Council Community Service Committee promotes our pledge to serve others in many ways during the course of the Scouting year. Promotes unit service opportunities and works to increase the amount of community service provided by Scouts, leaders and other participants. Provides community service ideas and organizations that could benefit from service. Promotes unit participation in Scouting for Food throughout the year. Supports council blood drives and annual toy drives in the council area. Plans and leads other council wide service projects. Promotes reporting of service hours through the Journey to Excellence Program. 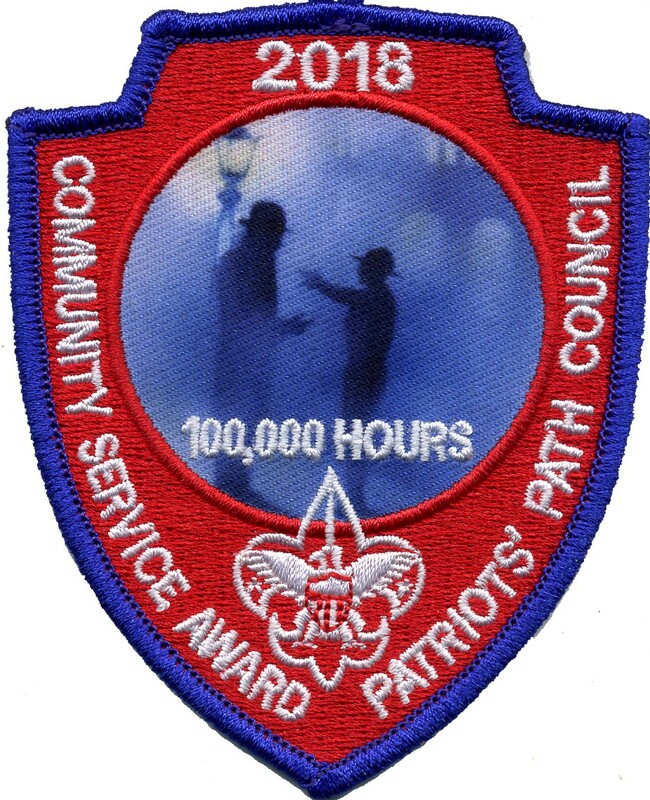 Promotes the recognition of volunteers by using the SERV (Scouting Excellence Recognizing Volunteerism) award program where service is rendered beyond the Scouting requirements.